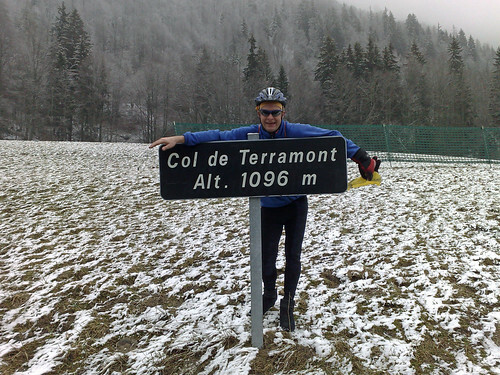 OK – It was only five climbs and one Col passed on a descent. By linking several climbs, it can become a big ride – today was around 1,700 metres of ascent (about 5600 feet). Eric had been eager to do this great loop since I last rode it. I needed a photographer, so I said “sure”. And since he is a strong rider, I added Col du Feu to make things more interesting. 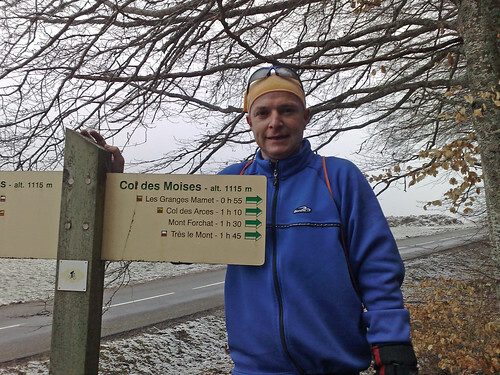 It was cold, with a north Bise wind, so the climbs were much more fun (warmer) than the descents (freezing). After the long descent in the middle of the route, we found a nice bar for chocolat chaude – and a discussion of all the famous accordionists that had performed there with the bartender. Seriously. 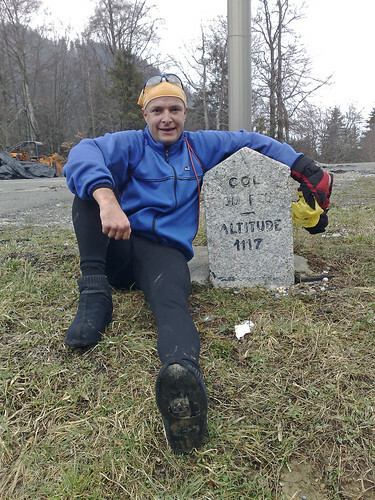 Next Article Col du Sac is Open? 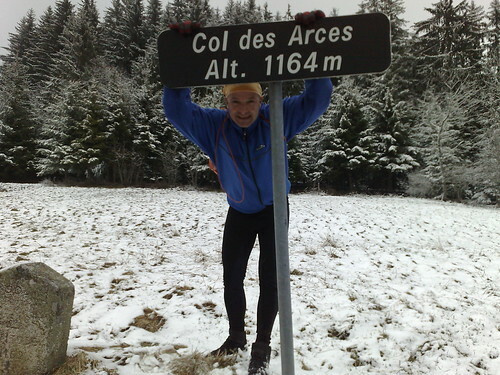 Thanks for taking my eagerness to live your february Vallée Verte ride into account and thanks for adding Col du Feu. 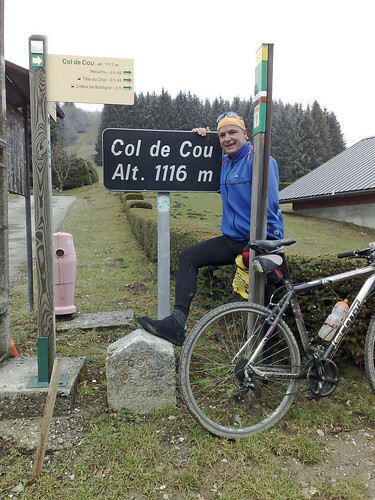 Yes, Col des Moises, Col de Terramont and Col du Feu were firsts for me and the other three long enough ago to deserve a refreshing (and refreshing they were!) repeat. The difference in temperature between higher up and back down in the bassin lemanique keeps amazing me. Almost springtime in Geneva, but still arctic up there. 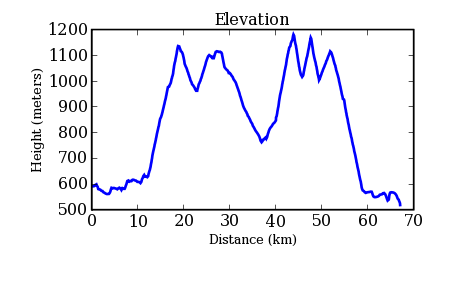 It is interesting to see how accurate your GPS tracking works : we made “knots” at each Col because of the pics and also in Lullin because of the chocolats chauds. This was another great ride Will. Well done, guys! Looks like a HUGE ride to me!